During summer months, many people enjoy road trips in their fancy motor homes. This means that you are probably going to be the only person on the road at times when driving between cities, which mean there is risk of getting stuck if you break down. What if you have no cell phone service, too? You should be prepared for situations like this. 1. Keep a small pad of paper and a writing utensil – it seems simple but if you get into an accident you need to keep track of important information. 2. 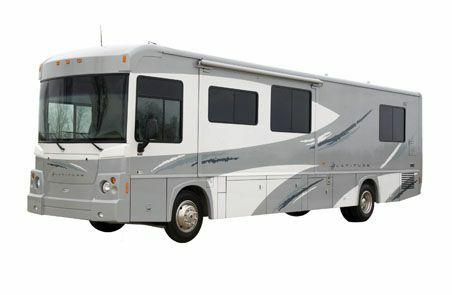 Keep your motor home registration and insurance information in a Ziploc bag in the glove box. This should include your policy number and an emergency contact number for accidents. 3. Keep a list of contact people and companies that you need for emergencies. Put this in the same package as the above information. 4. Always travel with a camera. Nowadays, digital cameras and cell phones are so popular, but if you do not have one, a disposable camera is just as handy. Pictures help a lot in RV accident cases where you may overlook specific details. Also put this in the same waterproof package. If you find yourself in an unfortunate situation, such as being the victim or cause of an accident, there are general steps you should follow. This will help your insurance company and it will alleviate stress from you if everything is taken care of properly. 1. Make an assessment of the people involved as well as the vehicles. 2. Call the police and record your accident. 3. Gather information from the other driver. This includes name, address, phone number, insurance company, policy number, driver and vehicle license numbers. If you are injured or too shaken up, wait for the police and they will collect the information for you. 4. Jot down any further information that you think is important that you may forget about. 5. 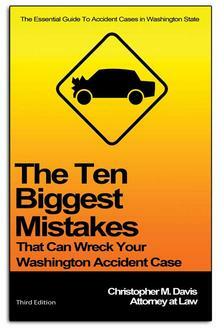 Never apologize or admit liability with other drivers. That is why you have insurance. 6. Call your insurance company ASAP to report the accident. 7. The police will let you know when you can leave the scene (if your RV is in driving condition). If you have been the victim in a motor home accident, call Seattle motor home accident attorney Chris Davis at Davis Law Group for a FREE consultation, (206) 727-4000. Posted on 09/29/2011Interested in a Motor Home, Not Sure If you’re Capable of Driving it?